Blu-ray movie is the main entertainment way at home, which can provide the high video quality enjoyment. However, the Blu-ray movie is limited to the disc, you have to play the movie by the Blu-ray drive, in other words, you will miss these chances: Playing Blu-ray movie on tablet, iPhone, or enjoy the Blu-ray movie on the car, during the traveling, etc. How to finish the tragedy? A small SD card will save you, you can move Blu-ray movie to Micro SD Card for better playback, you can insert the SD card to some portable devices instead of the heavy Blu-ray Player and Blu-ray drive. 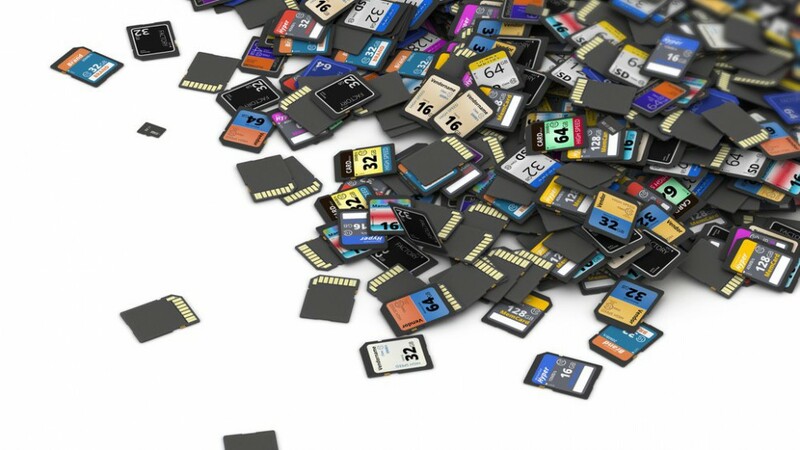 Micro SD Card refers to a Micro Secure Digital (SD) flash memory stick or memory card, which is regarded as a storage medium externally attached to a portable device. The Micro SD card developed by SanDisk stands out to be a great choice for people to store favorite photos taken and precious videos recorded with their digital cameras, smart phones and other portable devices. Now SanDisk Micro SD memory card has been designed to be compatible with not only cameras, but also digital video camcorders, laptops, tablets, audio players and mobile phones with SDHC or SDXC card slots that support SD card format. Usually a Micro SD card should be connected to the computer by putting the SD card into a card reader, but now some new tablets have installed the built-in card reader devices to allow you to plug your SD card into the device directly. Based on different data transmission speed, the SD card is divided into Class 0, 2, 4, 6, 10 as well as UHS-I and UHS-II. Based on different storage capacity, SanDisk SD card is divided into SD card (<=2GB), SDHC card (2GB – 32GB), and SDXC card (32GB-2TB). For a Micro SD card helps add and expand storage space for media files like music, photos and videos, it is also considered as an ideal storage medium for Blu-ray movies so that you can watch Blu-ray movies on Android Tablets directly instead of lugging around bulky Blu-ray players. But owing to the complex copy protection of Blu-ray, you should rip Blu-ray to Android tables playable formats (like MPEG 4 and H.264) before you place Blu-ray to Micro SD Card. Otherwise, although you have put Blu-ray movies to Micro SD Card and insert SD Card to tablet, you still can’t stream Blu-ray on your tablet for the format incompatibility. The way to convert Blu-ray to Micro SD Card with Android tablets suitable video formats is easy. Here I would like to recommend Leawo Blu-ray Ripper for its distinguished features. 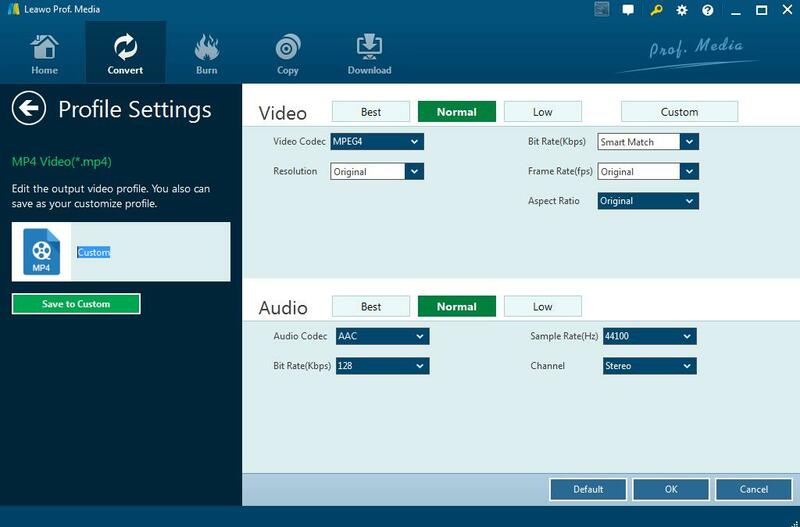 Leawo Blu-ray Ripper has the functions of the common Blu-ray Rippers that is to rip Blu-ray to other formats to adapt to tablets or allow you to adjust audio/video size, bitrate, etc to compress Blu-ray movie size in order to store more Blu-ray movies on SD Card. It also has number of great features that make it an excellent choice than than other software. 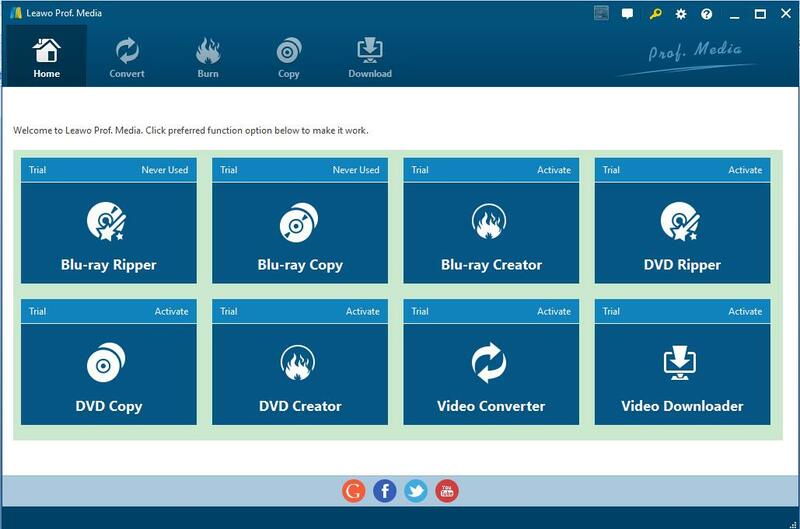 This is an easy-to-use application that enables users to convert Blu-ray movies not only for DVD, but also for any device you watch video on, such as computers, smartphones, tablets and gaming consoles. This excellent tool can rolls off Blu-ray/DVD disc protection, seamless merge selected Blu-ray titles and chapters, equipping with advanced video/audio synchronization technology and crisp effects to enhance media experience. As a professional Blu-ray movie ripper, Leawo Blu-ray Ripper will effortlessly rip non-commercial and commercial Blu-rays with protections to MP4, WMV, MKV, FLV, F4V, etc. Besides the 180+ supported digital formats, you can also rip Blu-rays to mobiles directly, including iPhone 6 Plus, Galaxy S5, Lumia 1520, PS4, Xperia Z, Surface Pro 3 and many more. Plus, you are allowed to freely customize and personalize the conversion files through its settings and options in order to get an individual output in your own way. And Leawo Blu-ray Ripper has stunning trim and crop feature- it trims movie more accurate and crops video more considerate than its competitors. Step 1. Download and install Leawo Blu-ray Ripper then insert Blu-ray discs to Blu-ray drive before operation. Step 2. Start the blu ray video converter then simple click “Add Blue-ray/ DVD” icon to import Blue-ray discs for Leawo Blu-ray Ripper. And preview the added movies before converting. Step 3. Choose output format. Basically, H.264 MP4 is an universal format supported by almost all multimedia devices. To get the output videos, click the drop-down box (named “MP4 Video” by default), and choose “Change” to choose compatible format for your devices. Step 4. Adjust detailed settings. Click on the format option, there will appear an “Edit” icon on the left of “Change” Icon. Click it to adjust video and audio parameters of output format, including: video codec, quality, bit rate, frame rate, aspect ratio, channel, audio codec, resolution, etc. Step 5. Start to convert. When you have finished all the above settings, you can simply click the big green “Convert” button on the top-right of the interface to let the software do the Blu-ray to Micro SD card MP4 conversion for you. Set output folder if you like. 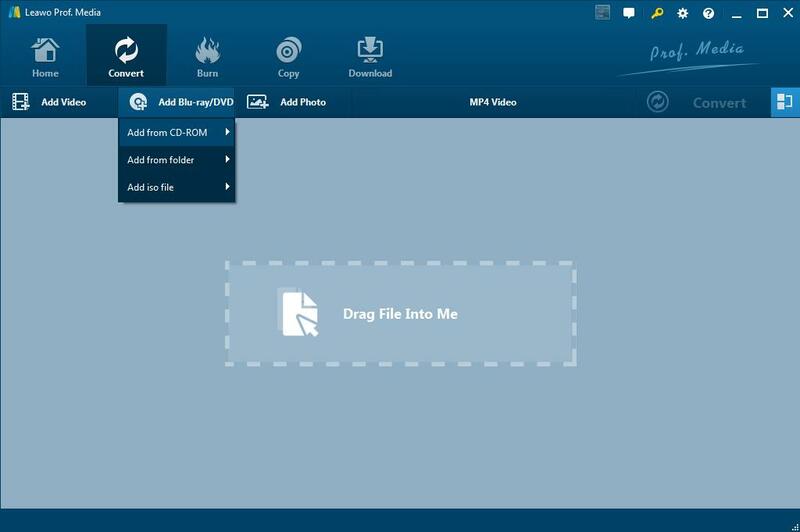 When you get the new video files, follow a few simple steps to transfer the converted blu ray to SD card. Step 1. Click “Open” icon to locate the converted video files, insert the SD card to the SD card slot of your computer or into an external card reader connected to your computer, and it will appear as a removable drive. Step 2. Then copy the converted Blu-ray movies to this removable drive, It may take a little longer time. Please wait in patient. Step 3. Plug the memory card to a tablet for Blu-ray playback on the portable device on the go with ease. Following the above steps, you can easily place Blu-ray to Micro SD Card with Leawo Blu-ray Ripper. Then, you can enjoy your favorite Blu-ray movies on your tablet or smart phone freely. For extended reading: besides SD card, you can also easily convert and rip Blu ray to iTunes, please just click the link to know more!